So…it’s been a few months…let me catch you up on what’s been going on with me. I’ve been working on a few different projects, which meant that I had to sacrifice blogging for a bit to make things work/not burn out. The most important development (if you follow me on IG, this will be old news. And if not, it’s okay, I’ll wait…) is that I finished the first draft of my novel at the end of December. When I came back from Prague last year and was all depressed and having an existential crisis and whatnot, I made up my mind to rededicate all my time and effort to my original passion, writing. I had been writing the whole time, but I needed to make it my number one priority, which looked like sitting down every single day and writing, meeting my (very strict!) word count – even after a night of going out and drinking (-_-)- and reading in abundance. When I was in grad school, I remember one of my professors saying to a stressed out classmate “You can either be a really good teacher and an okay student or a really good student and an okay teacher.” So applied that advice to my own situation – I could either be a really good blogger or a really good writer. When it came down to it, writing my novel was definitely way more important. So here we are. I have some very cool writing news that I can’t give too many details about just yet, but it’s very exciting! Last month, I got to check off my SIXTH continent by visiting Australia and New Zealand, the post for that will be coming your way soon. In the mean time, here’s a lovely picture of the Bronx River that I took during a quaint stroll this past Sunday. So, I’ll never get to be on MTV Cribs, since it’s no longer on (yes, that’s the reason) but a really cool project from ID Studio Theater here in the Bronx is giving some South Bronx residents a chance to show off their homes as part of the “Mott Haven Home Movies: South Bronx Cribs” project. The idea behind the project is to teach residents to shoot and edit their own episode of “Cribs” to show what living in the South Bronx means to them. This is so so so important in the face of the battle we must fight against gentrification and the displacement of Bronx residents. Currently, funds are being raised to supplement the grant the project received from the Bronx Council on the Arts. To read more about the project and/or donate, click here. My first exposure, I guess you could say, to the Jerome Avenue Workers Project was a couple months back the the gentrification conference. I’ve always loved neighborhood feature stories and profiles of the people who make up communities, but this story cuts a bit deeper because by showing us the personal stories of the residents, it puts a face on the people who will be hit the hardest by seemingly endless city developments that often overlook who will be impacted by their projects. A member of the Bronx Photo League, Giacomo Francia share the stories of these hard-working individuals on a feature in the New York Times this week, entitled “Who Makes the Bronx?” Check it out here. 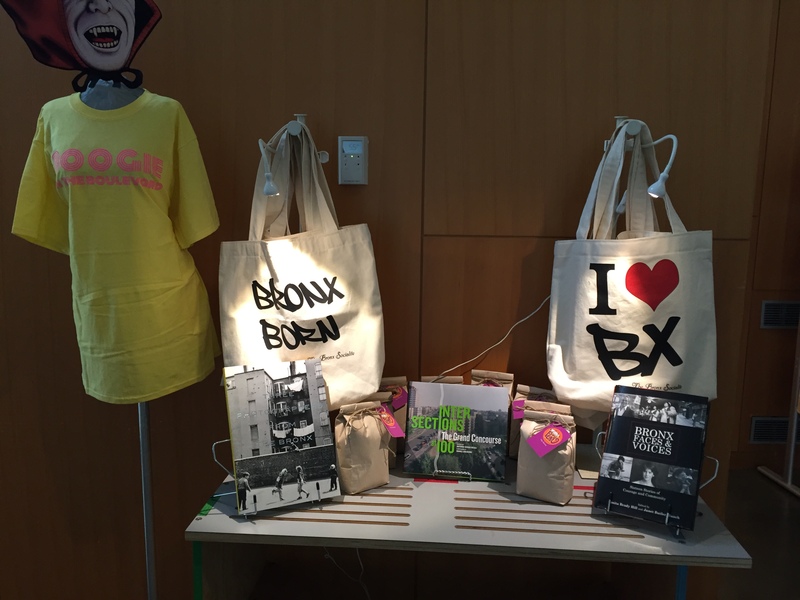 Bronx Socialite Tote Bags are Now Available at the Bronx Museum of the Arts! I am so so happy and excited to announce that you can now purchase tote bags designed by The Bronx Socialite at The Bronx Museum of the Arts. The two designs available at the gift shop are the I heart the Bronx tote and the Bronx Born tote. Right now the Cafepress store is unavailable so for the time being, these are available exclusively at the museum. They are roomy, sturdy, and perfect for work, school, or the gym.